It's the first residential smoke alarm capable of detecting natural gas as well as carbon monoxide, smoke, and fire. Roost impressed us last year with its Wi-Fi-enabled 9-volt Smart Battery ($35, available at Amazon.com). Put one in your smoke detector and it will send you an alert when the smoke detector senses danger. It will also warn you in advance of the battery’s expiration, saving you from those annoying 3 a.m. chirps. Now the company is expanding to offer smoke detectors themselves. In partnership with Universal Security Instruments, Inc., Roost will initially build two models, both of which will depend on 120-volt wiring in your ceiling. 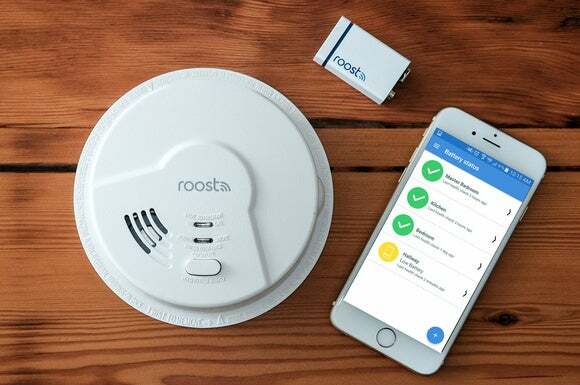 The Roost Smart Battery will provide backup power in the event of a blackout, but its primary purpose is to connect to your Wi-Fi network and send emergency text messages to you and your contact list when the smoke alarm goes off. If you’re not home when a fire breaks out, hopefully a nearby family member or neighbor will be able to check things out for you and call the fire department if needed. When Roost’s battery eventually fails—it has a five-year lifespan—you can detach the reusable Wi-Fi module and snap it on to a fresh battery that sells for $15. As for getting those alerts in the event of a blackout that shuts down your router, we recommend plugging your broadband gateway and Wi-Fi router into an uninterruptible power supply, so you’ll still get those alerts even if the power goes out. The Roost Smart Smoke Alarm RSA-400, $80 (shown up top), detects the presence of natural gas—an industry first, according to Roost CEO Roel Peters—and carbon monoxide as well as the smoke from a smoldering fire or the flames from a fast-moving fire. The less-expensive model RSA-200, $60 (shown below), detects only smoke and fire. The Roost Smart Battery is included with both models. The Roost RSA 200 Smart Smoke Alarm, $60, can alert you to the presence of smoke and fire. The impact on you: We really like the Roost Smart Battery, it’s a good idea well executed. But we’re a little surprised that Roost’s detectors are designed to be hardwired in place. While 120-volt smoke detectors are standard issue in newer construction—as required by law in many areas—most existing homes rely on battery-powered detectors. While Roost hasn’t integrated its product line into any connected-home platforms—it doesn’t support any of the common protocols, such as Z-Wave, ZigBee, or Thread—it does have an IFTTT channel. That allows owners to create recipes that can turn on or change the color of connected lights if the smoke alarm goes off. 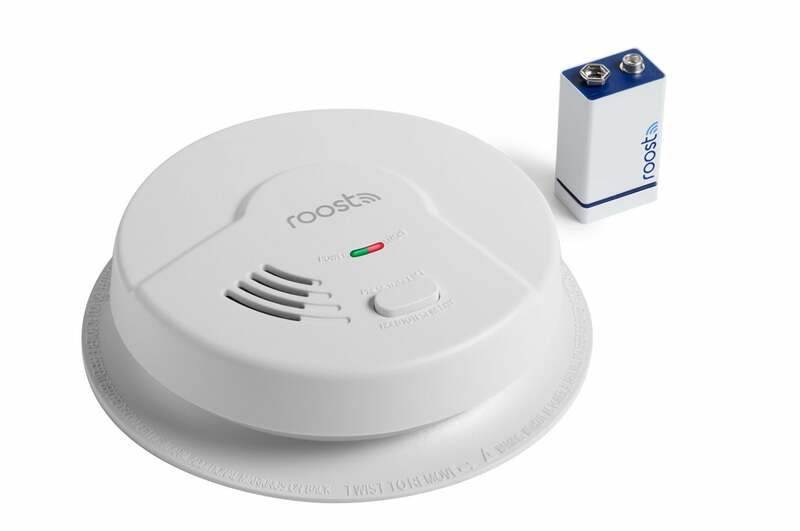 If you’re interested in replacing your 120-volt smoke detector with one of Roost’s models, you can pre-order them now, with delivery expected in June.